At their 4th anniversary, Rampad excels both as a general contractor in civil engineering, with industrial and agricultural projects but also in manufacturing metallic structures. The development of Rampad’s divisions came from the desire to succeed to cover all poles in the area of construction. “The business had a nice and steady growth. I originally started with constructions and in about one year or two we realized we need ironwork and then metallic structures. More recently we have launched a new division of PVC and aluminium carpentry. 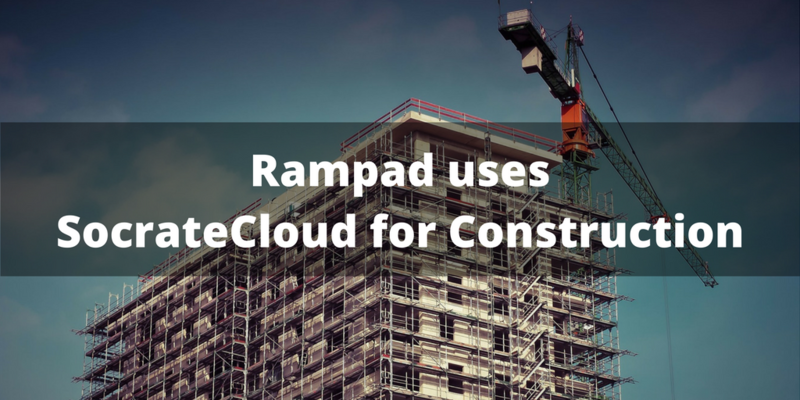 We can now provide everithing you reed on a construction site from A to Z”, says Cătălin Ceposu, CEO Rampad. SocrateCloud ensures an efficient management of construction projects, ensuring compliance with deadlines and budgets and maximize customer satisfaction. SocrateCloud monitors the execution by recording and tracking the consumption of materials, labor, equipment and transportation by project, phase and sub-phase. Based on these inputs, a report summarizing the daily consumption is generated. The labor consumption is recorded weekly by phase and subphase. Based on this information salaries and employee contributions are calculated. Based on the information provided by SocrateCloud consumption is tracked and the division manager has the freedom to decide when and how to manage the raw material requirements, either by central management or by project. SocrateCloud tracks orders, registers consumption, introduce bills and generates the necessary reports and analysis. SocrateCloud also manages sales activity, the financial accounts and comes with a set of reports ensuring a 360 degree view of the company and provides operational control and decision support. "Together with the implementation team we defined in SocrateBI the most important reports for a construction company: the P&L, the planned versus achieved balance, unallocated spending or production in progress”, says Cătălin Ceposu. The Division managers have become more autonomous. "By implementing SocrateBI, meetings with division managers are more efficient and take less. We have the same figures in front of our eyes and we can discuss over the telephone; even 15 minutes are enough to clarify certain issues". "At the moment we manage to issue separate balances for each division, which is a big plus." All these features make SocrateCloud a perfect match for companies whose management wants to have a clear perspective on the business, easily accessing the information.